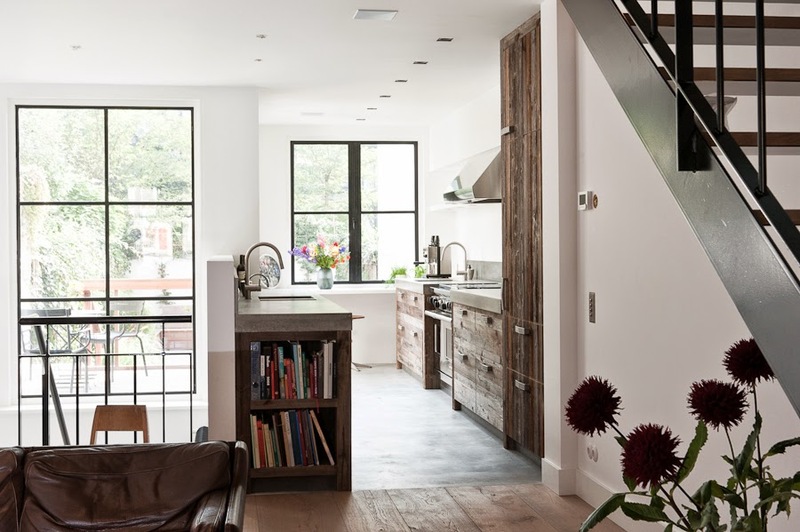 Check out this tastefully composed juxtaposition of rustic and modern! 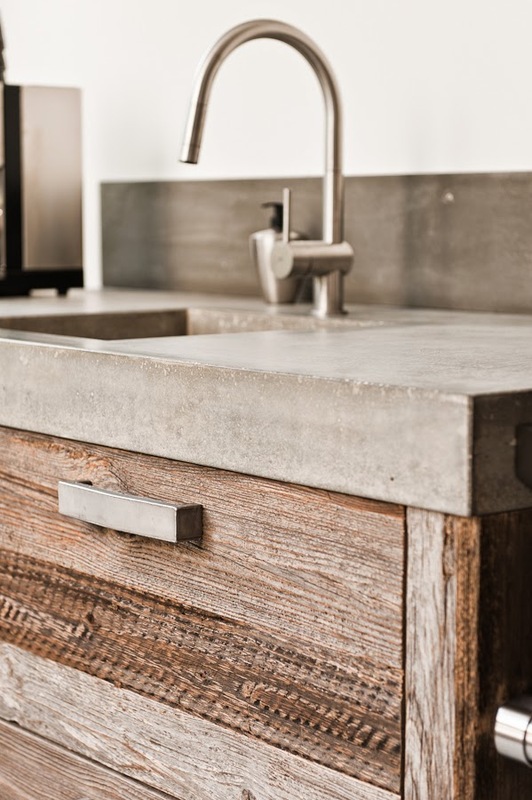 I LOVE concrete counters, and I think I quite possibly LOVE them all the more when paired with reclaimed wood-fronted cabinets. 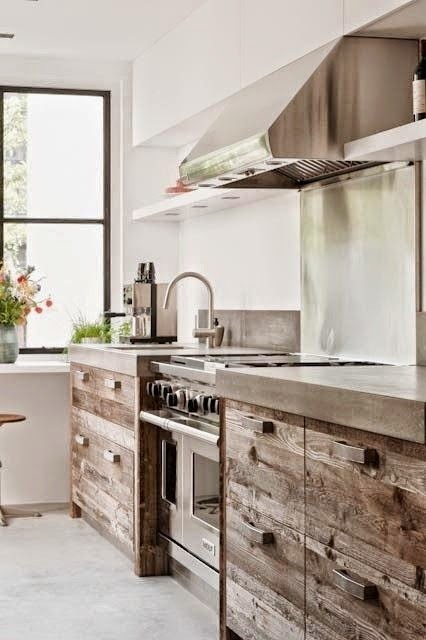 That streamlined modern hardware on the rustic cabinetry is making me swoon too. Look, even the dishwasher (see above) and the refrigerator (see below) are covered in the reclaimed wood! 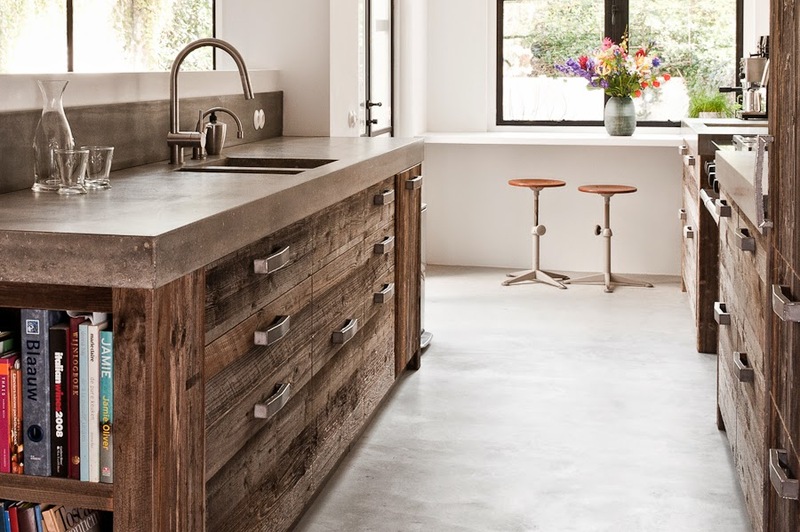 I've seen nice concrete counters before, but never so lusciously thick. That is a true slab of concrete. Isn't it pretty paired with the delicate stainless fixtures? Are you loving this space as much as me? What's your favorite part?